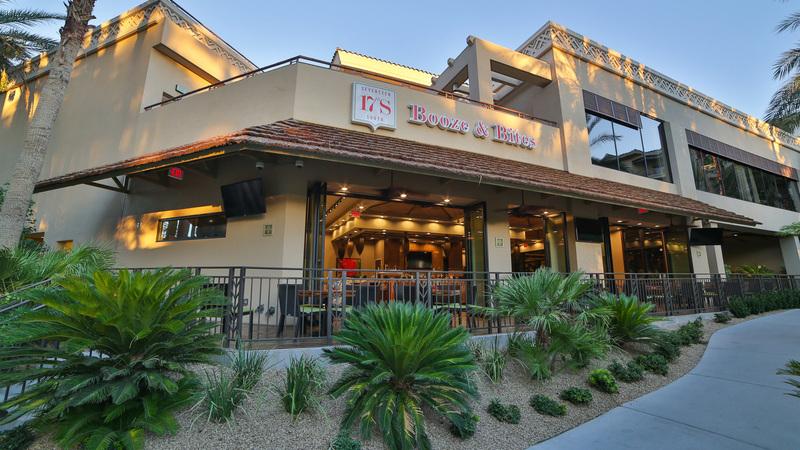 Dedicated to embodying the adventurous spirit of tropical island life, 17° South Booze & Bites is the perfect place to relax and indulge in a menu full of generous food and drink options. 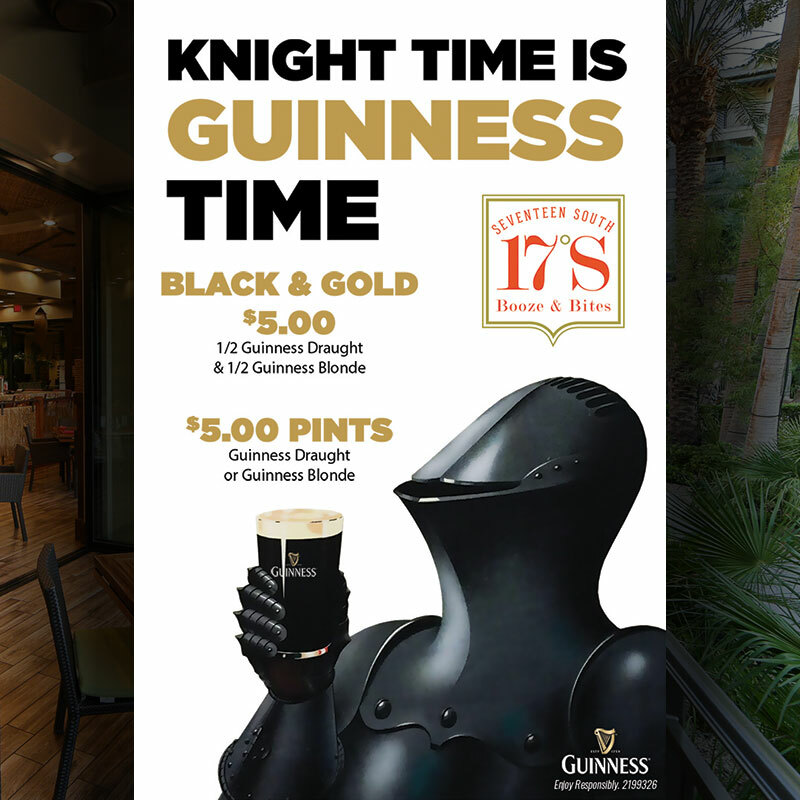 This is the perfect place to savor one of the 24 draft beer options along with perfectly cooked wings while enjoying the game of one of our many widescreen televisions. 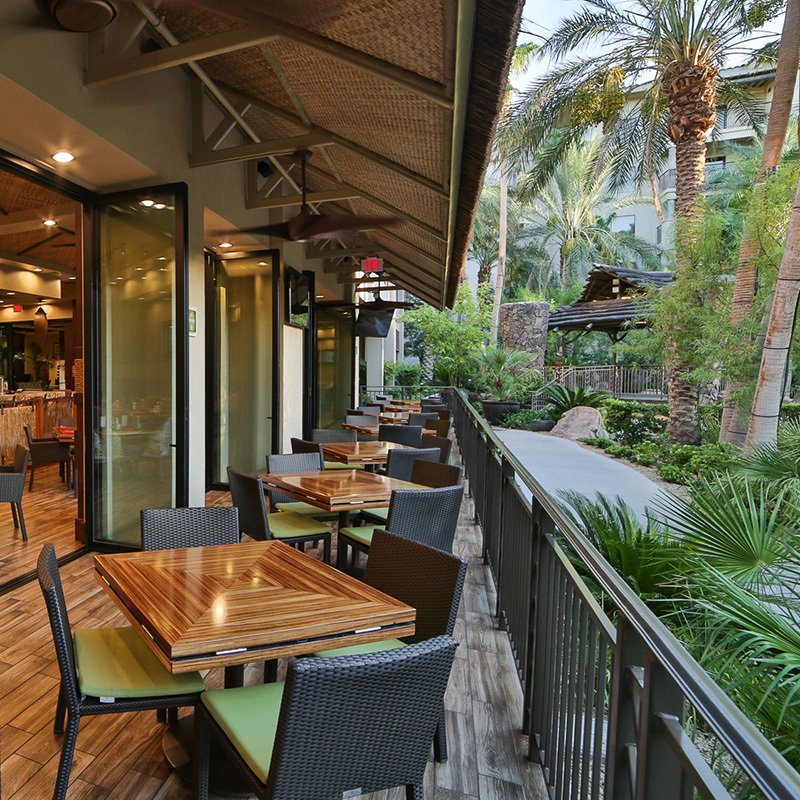 Or, if you are looking for a quieter, more refined experience, head out to the patio to enjoy views of our beach inspired pool with a one-of-a-kind lychee martini and an island-flavored mixed greens salad. 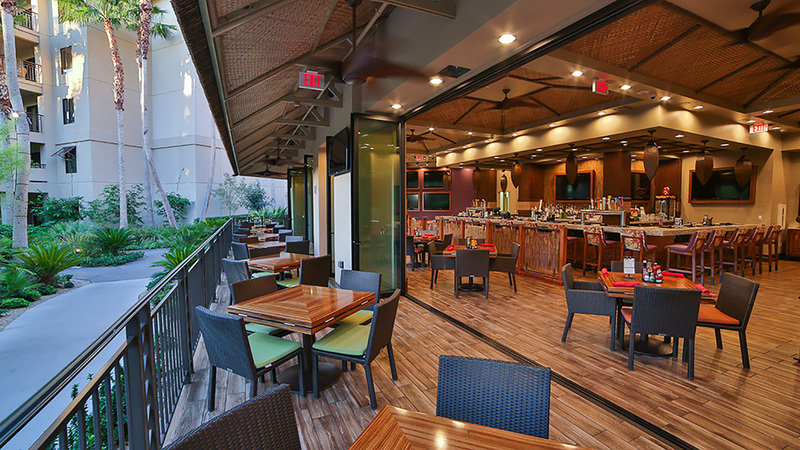 17° South is also a great place to gather for a special occasion, with seating for over a hundred, or simply for a cocktail with your party before your night out on the town. If you are feeling lucky, 17° South also features the only gaming in the resort with 15 bar-top gaming machines to challenge you. 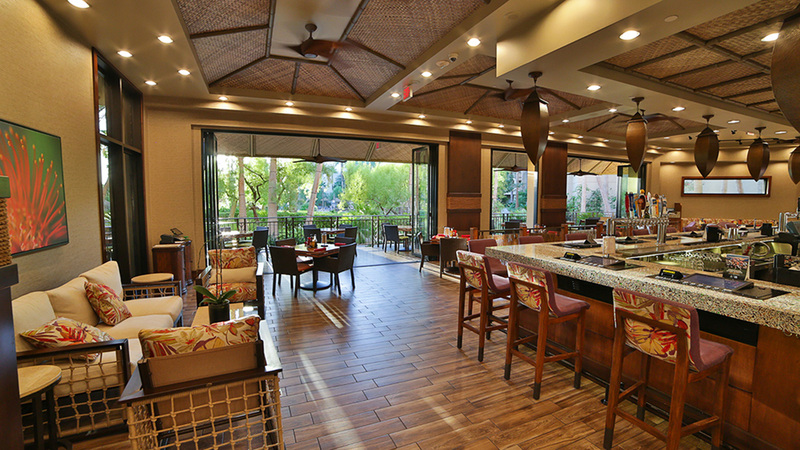 No matter what you are in the mood for, you are sure to find it at 17° South in the main lobby building at Tahiti Village Resort & Spa. 11:00 a.m. – 2:00 a.m.
Food is served until 10 p.m. Sunday – Thursday and 11 p.m. Friday – Saturday. Draught and half Guinness Blonde. 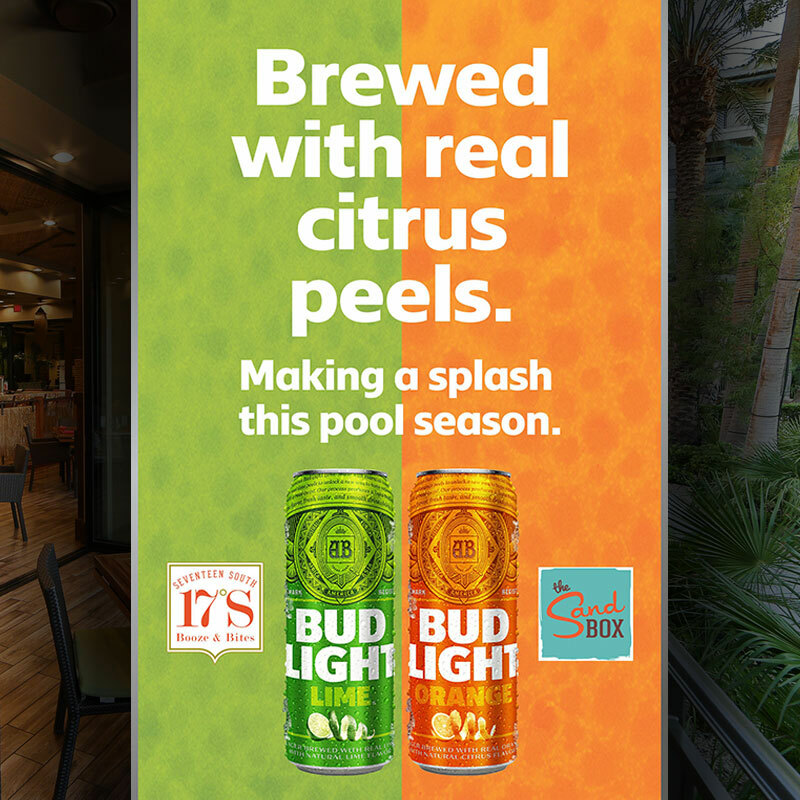 17° South and the Sand Box is proud to offer Bud Light Fresh Series this pool season! Kick back pool side with a refreshing twist to your favorite beverage.